Edward M. Zwick (born October 8, 1952) is an American filmmaker and Academy Award-winning film and television producer. He has worked primarily in the comedy-drama and epic historical film genres, including About Last Night, Glory, Legends of the Fall, and The Last Samurai. 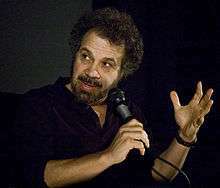 1 2 Edward Zwick Biography (1952–). FilmReference.com. Retrieved 2010-11-03.